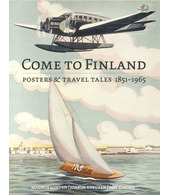 The graphic designer Göran Englund was a student at the Central School of Arts and Crafts from 1931 until 1934. On graduating, he founded, together with fellow students Henry Czarnecki and Paul Söderström, the advertising agency Kuvamainos Oy. All three of them were part of the group that a year later founded the advertising agency Oy SEK Ab. Englund fought in the Winter War against the Soviet Union in 1939 as a combat soldier. In March 1940, just five days before the war ended, he was badly wounded in Häränpäänniemi in Säkkijärvi in Karelia and froze to death.